Family owned and operated in the Oklahoma City metro and surrounding areas. Amazing Results. Guaranteed. Thank you! We will get back with you in the next 24 hours! Creating a cleaner and brighter future for you. 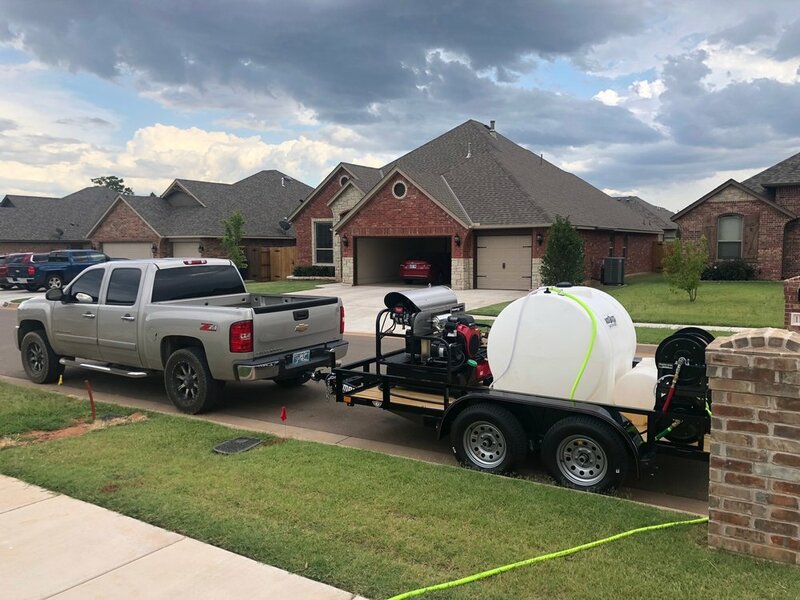 Based out of Yukon, Oklahoma servicing OKC, Mustang, Moore, Edmond, Norman, and all surrounding areas for all of your pressure washing needs. Today's industry and technology is constantly evolving. We invest our time and effort into staying up to date, so that you can invest in an exterior cleaning company you can trust and results that exceed your expectations! Servicing both commercial and residential customers requires a versatile array of inventory. Additives being an important one. We make sure to only choose the best, environmentally friendly options available today. We take pride in our equipment. Maintaining optimal job efficiency to get your are clean, quicker. With the ability to use hot water, less chemicals and time are needed. Rolling savings back into you! Professionalism. Efficiency. Respect. Fully insured, we are driven to give our customers the quality service and peace of mind they deserve. We understand every situation will be different. Making it a priority to adhere to every unique aspect your project requires. No "cookie cutter" jobs. We never compromise quality for time and give our clients realistic schedules that accommodate their lives. Ready to get to cleaning?